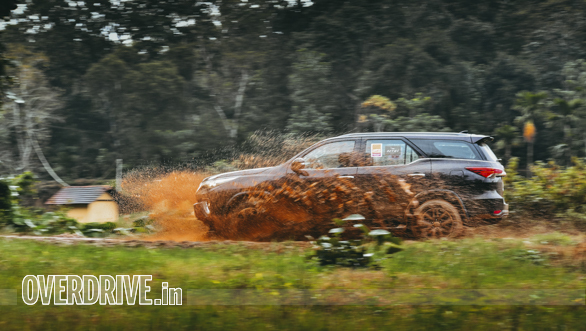 This is easily one of the most successful and aspired for SUVs in India and you have everyone from film artists to powerful politicians, and industrialists to IT professionals using them. The new Toyota Fortuner does not look as butch as its predecessor, but it's certainly more stylish now. The aesthetically inclined may find the styling too fussy and busy with lots of lines and edges and curves. Despite this, it has a raw and dominating street presence that most of us Indians seem to like. The elevated seating supplies a commanding view, even with the high-set dash. The A-pillars do restrict peripheral view, but the long windows compensate somewhat. The wiper sweep coverage could be better as the right-hand corner and top of the windscreen, does not get cleaned. The doors open wide and getting in or out is convenient, but the high seating requires one to climb up using the footsteps. Interestingly, the plastic cover on the inside of the B-pillar has a little groove one can hold while climbing in. 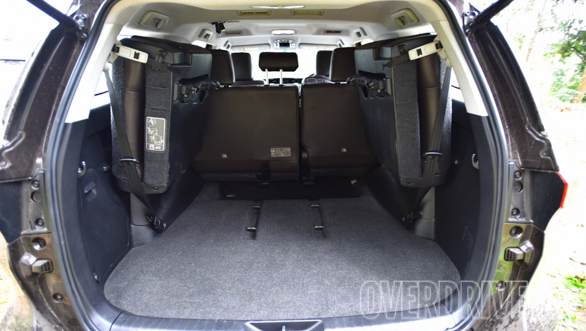 The high seating also limits headroom, especially at the rear. ratio gears in the transfer case. 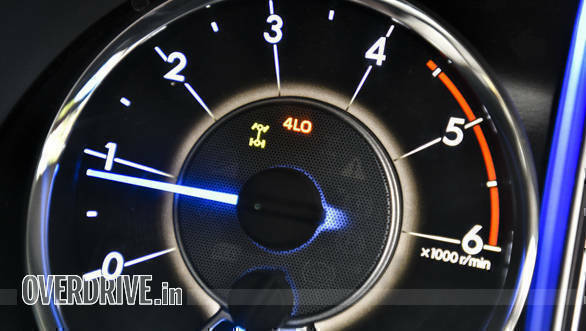 It has driving modes like power and eco, but no specific off-road driving ones. But it does come with downhill assist control, hill-assist control, etc. The Fortuner has a total of eight grab handles (four front and two each for rear rows) that are useful to hold onto while off-roading. There is underbody protection and spare wheel access is alright. But, the third row seat fasteners are flimsy and the seats keep coming loose when lifted. The cruising range of over 1,000 kms is brilliant. 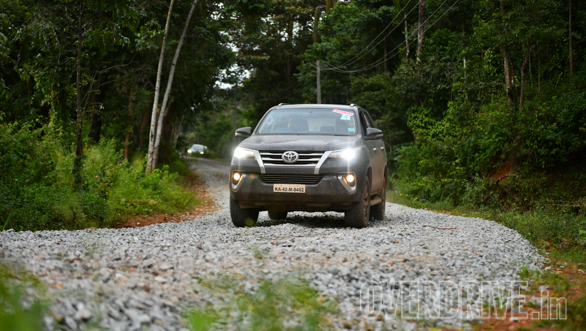 Sadly the ride is jiggly and unsettling with the occupants (especially those at the rear) feeling everything the Fortuner goes over. Performance and high speed stability is good and it has the long legs for extended journeys. 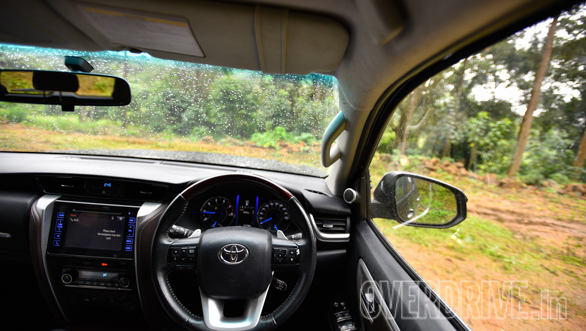 The Fortuner feels quite planted in the loose and responds eagerly to driver inputs. But it is not athletic and one is always conscious of its considerable size and weight. Again despite this, its stage timing is commendable.